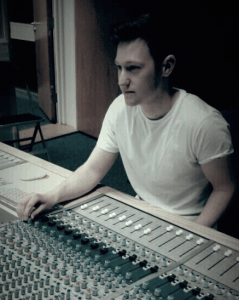 Recent graduate Philip Rollett will be on-campus for LSFM’s HEADSPACE event on 6th May with other working audio & radio alumni to share their own industry advice with students. Philip opted for self-employment to start his new business and discusses his experiences here. About a month ago I was ready to give up on running my own audio company, it seemed like an impossible, thankless, task. I was constantly thinking if I was going to be able to earn a living from a degree that I’d dedicated so much time and money to. You find that you are no longer just an audio engineer, you’re a social media marketer, website developer and a phone salesman. I set my company up Start! Audio in July last year, with the help of my part time employer Howard Young (Engine 7 Post Production), this was around two months after finishing my degree in Audio Production. Howard took me on part time after I spent a few days with him in his studio.We work on a range of projects such as animation sound design, radio adverts and telephone on hold messages. I was extremely lucky to get paid work from him straight after leaving university, it also meant I was constantly being creative and using Pro Tools. With the work only being part time at Engine 7, Howard was kind enough to give me lots of help and advice to set up my own audio business where I live in Chesterfield. I spent a couple of weeks turning a spare room into a small studio, I purchased some bass traps and foam panels and was ready to go. My marketing strategy didn’t go much further than Twitter, email and my website, and still doesn’t. I probably should have paid more attention in R&D, but, honestly Twitter has been the best networking/ marketing tool for my business. The majority of the work I get in is from Twitter. Since leaving university I have done one week’s free work experience in London and it was so bad, I think it was the company’s fault and others are undoubtedly better, but I don’t plan on doing any more, unless it’s for Christopher Nolan or some other amazing opportunity, and even then I’d be like “hey, Nolan, stop being so tight and pay your staff”. Perhaps my unwillingness to work for free is why it has taken me six months to start getting work, but what people expect graduates to do in the media industry for free (or for hardly any money) is absolutely ridiculous. I don’t mean if you visit a studio for a few days because everyone should definitely do that for free, but once you start actually doing work for them you should be getting paid, no doubt about it. It’s only because people are so desperate to get into the media industry that companies can take advantage of students coming out of university and you have to be very careful of that. It’s down to everyone individually, but there’s still plenty of money in the industry to be paid for your contribution. There are some people who swear by free labour once you leave university. I personally don’t. I think one thing students don’t realise is that there is lots of media work out there, it might not be on major budget films, but even locally you can find work, such as, explainer videos for local businesses or producing on hold music for their telephones. Earning money in the industry is something that never really seems to get talked about, even at university, and that really should change because it’s so important. Don’t let people fool you into believing you shouldn’t be making money, because in most cases someone will be making money out of the work you do. I now have two audiobooks to produce this month, along with a few other audio projects like working for the university. I’d still like to be busier, but this month I’ll be making enough money to be earning a proper month’s wage and that’s a great feeling. If you love audio, video, or whatever, then you definitely can make a living from it. It probably will be easier to just be a banker or something, and it’s guaranteed to pay better, but it definitely won’t be as fun. Although, I might still end up being a banker. Very well done – your perseverance is really paying off, Phil, and I’m sure it won’t be long until you’ve built up a significant number of regular clients, so please come back and talk to our current students about that! However, I do have to disagree with you about the financial aspects not being examined at Uni – a huge portion of Music Prod & Enterprise is about exactly this. L3 guests often discuss their income streams too.